Working in explosive atmospheres can be perilous to say the least. Fortunately, with the right training and personal protective equipment, workers can get home safely at the end of the day. It’s simple really: since the body’s cells require oxygen to survive, every human relies on oxygen to live. Oxygen plays a vital role in the breathing processes and in the metabolism of living organisms. The human respiratory system comprises the lungs and associated organs such as nose and wind pipe. In the human body, the oxygen is absorbed by the blood stream in the lungs, being then transported to the cells. What if this life-giving oxygen is accidentally removed or replaced by the other gases such as carbon monoxide (CO) or hydrogen sulphide (H2S) during the work activity? What if there is presence of flammable gases such as methane or propane at the work environment that was not tested thoroughly before the work? Presence of such hazards may commonly be found in confined spaces such as fuel tanks, sewers, attic spaces, manholes and many other places of usually closed nature that are used to store hazardous substances. Typical oxygen deficient environments can be found in deep excavations, attic spaces, unventilated rooms, basements, silos etc. Some activities like welding in closed areas can remove the oxygen and increase the amount of toxic gases leading to worker deaths due to asphyxiation or poisoning. Flammable gases can cause fire and explosions killing people and damaging property. It is not necessarily only confined space activities that face threats from flammable gases; hot work near a flammable tank without properly testing the environment can lead to a fire and plant explosion from the spark caused by the welding activity on the tanks platform. Such incidents have occurred many times in the past killing workers and may keep occurring in future due to workers’ lack of knowledge with regards to the breathing zone and employers’ failure to provide necessary emergency measures. 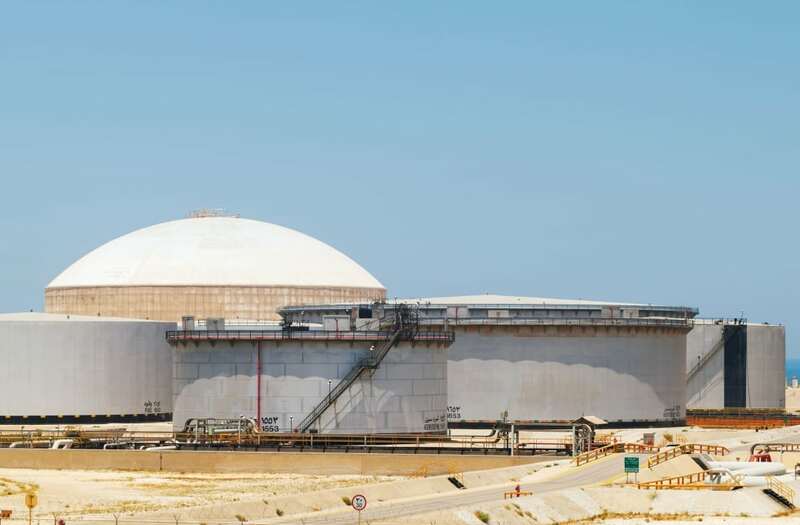 Due to this, gas testing plays an important role in safe guarding workers who enter or work in such hazardous areas where the breathing air is potentially contaminated or flammable. 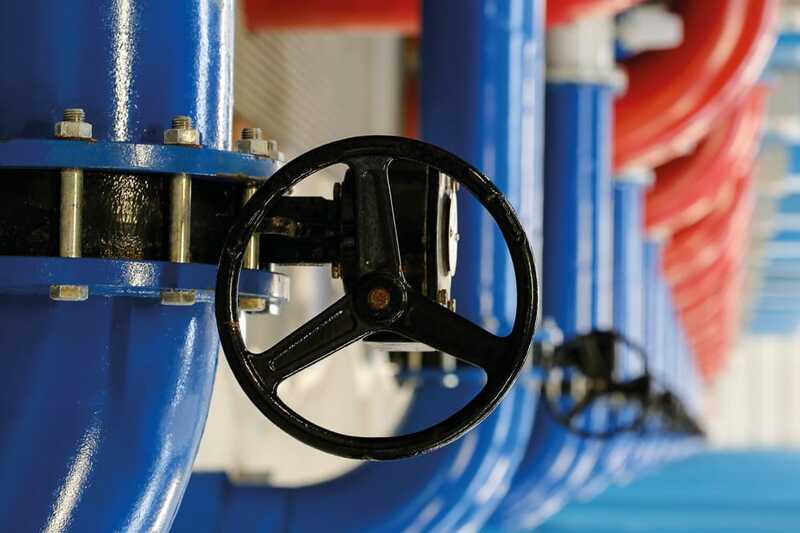 This article emphasises gas testing related issues; however, while working in confined spaces that have potentially hazardous environments a holistic approach of control measures must be implemented. These include measures such as a safe system of work, which should include: permits, lockout-tagout services, worker training, attendants, emergency rescue, respiratory protection equipment, and safe access to the work area, along with gas testing and ventilation. Oxygen can be a life giving gas, but only when it is within the required concentrations. 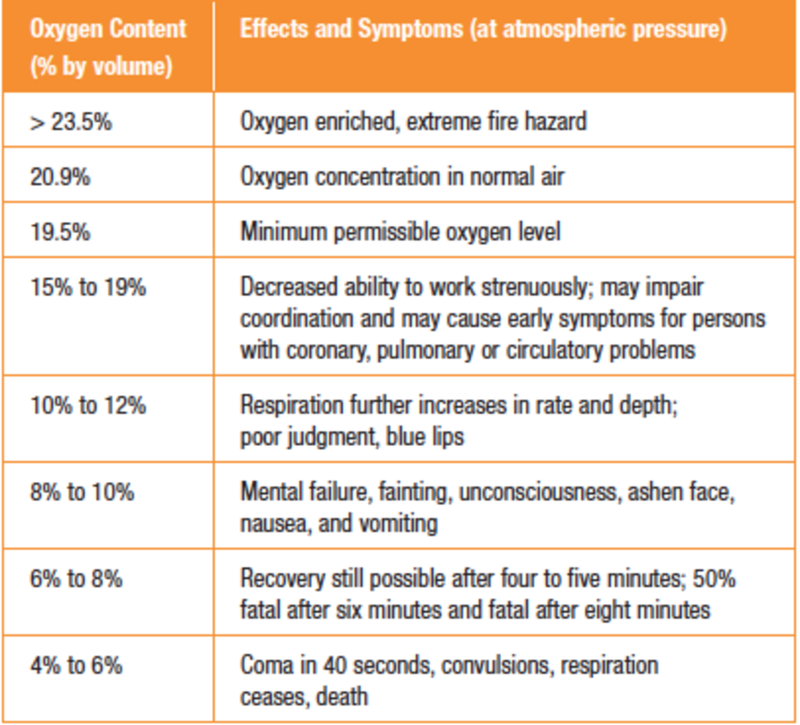 In the following sections let’s look in more detail at the effects of oxygen and other potentially hazardous gases on the human body. For any work area to be called safe from asphyxiation hazards, the concentrations of available oxygen must be within 19.5% to 23.5%. An atmospheric oxygen concentration below 19.5% also known as oxygen deficiency, or above 23.5% also known as oxygen enrichment, can have various health and safety concerns for the workers involved. Oxygen monitors are generally set to alarm if the atmosphere contains either too little or too much oxygen. The table to the right shows the approximate levels and their effect on health and safety, but they can vary due to the individual’s state of health and physical activity. A combustible gas is one that will burn when mixed with air (or oxygen) and ignited. 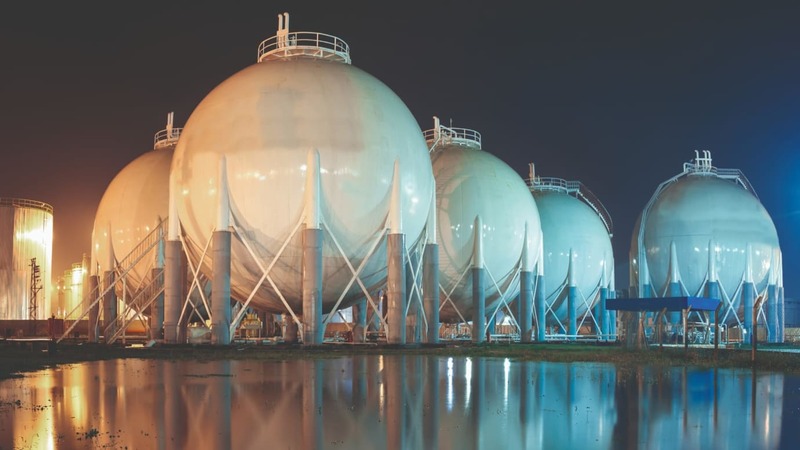 Flammable or explosive environments may be likely to form in confined spaces, tanks and vessels that were used to store or transport flammable liquids, or areas where flammable liquids are handled. These environments may be likely to contain flammable or explosive gases and/or vapours above the safe concentration levels. Combustible gas-air mixtures can be burned over a wide range of concentrations. These concentrations or limits of gases that propagate burning or explosion of any gas are called its explosive limit. To produce a flame a sufficient amount of gas or vapour must exist; however, too much gas can displace the oxygen in an area and fail to support combustion. Because of this, there are limits at both low-end and high-end gas concentrations where combustion can occur. These limits are known as the Lower Explosive Limit (LEL) and the Upper Explosive Limit (UEL). They are also referred to as the Lower Flammability Limit (LFL) and the Upper Flammability Limit (UFL). To sustain combustion, the atmosphere must contain the correct mix of fuel and oxygen (air). The LEL indicates the lowest quantity of gas that must be present for combustion and the UEL indicates the maximum quantity of gas. The actual LEL levels for different gases may vary widely and are measured as a percent by volume in air. Gas LELs and UELs can be found in NFPA 325. To support burning of any combustible gas, the actual minimum concentration varies from about 0.5% to about 15% by volume in air for most common combustible gases. Concentrations below this limit are too lean to burn. Different gases have different percentage by volume concentrations to reach 100% LEL. For example, Propane’s LEL is 2.1% by volume; Pentane’s LEL is 1.5% by volume; Hexane’s LEL is 1.1% by volume and gasoline’s LEL is 1.3% by volume. Generally speaking, combustible gas monitors are designed to alarm before a potential explosive condition occurs. Toxic gases can be present in a confined space because the type of manufacturing process uses toxic substances as part of the production process, or biological and chemical "breakdown" of the product being stored in a tank, and from maintenance activities, for example welding being performed in the confined space. Hydrogen Sulphide (H2S) – a colourless gas with the odour of rotten eggs. But do not trust your smelling ability as it paralyses the senses on higher concentration so people wrongly think that the gas has cleared from the space. Many confined space deaths have been linked to the H2S exposure. Hydrogen sulphide when inhaled reaches the cells through blood instead of oxygen causing asphyxiation. Carbon monoxide (CO) – an odourless, colourless gas produced during the burning of carbon based fuels such as gas and wood. Most of the emissions from the vehicles and industrial processes contain CO. Carbon monoxide replaces oxygen in the blood and reaches to cells causing poisoning of the brain cells and death or coma comes quickly. Solvents – solvents such as kerosene, gasoline, paint strippers, and degreasers give out flammable vapours when come in contact with air. These vapours not only cause fires, but if inhaled at high concentrations they can also damage or affect the central nervous system (CNS) resulting in various health complications such as drowsiness, lack of concentration, confusion, headaches, coma and in severe cases, death. OEL is the acceptable upper limit on the concentration of a hazardous substance in the air within a workplace for a particular substance or a group of hazardous substances. Competent national authorities establish OELs and these will be enforced by the national legislation of any country in order to protect the workers from unacceptable concentrations that may cause them ill health. OELs are known under different names in different countries; for example, in the USA they are developed by OSHA and known as Permissible Exposure Limits (PEL). PELs are usually based on an eight-hour time weighted average (TWA), although some are based on short-term exposure limits (STEL). Hence the acronyms such as Permissible Exposure Limits (PEL) Time Weighted Average (TWA), Short Term Exposure Limit (STEL), Threshold Limit Value (TLV) that are universally used when it comes to measuring concentrations of the work place and worker exposure to these concentrations. These acronyms are produced from a number of different organisations such as Occupational Safety and Health Authority (OSHA), the American Industrial Hygiene Association, and National Institute of Occupational Safety and Health (NIOSH) through their various research and development activities. The data has been updated annually for various new chemicals and gases that are manufactured, reported and/or researched. With this in mind, it is paramount that the hazardous substance or a hazardous gas assessment to be undertaken to adequately control the exposure of employees and others to the hazardous substance or gas while working in the hazardous work area such as confined spaces, flammable or chemical stores, chemical production factories etc. Once the presence of a hazardous substance is identified and found at or above the OEL limits it is essential to reduce their concentrations to below the regulatory limits to safeguard the health and safety of workers working in that area. The OEL values may vary slightly between countries due to differences in assessment methods. The time-weighted average (TWA) exposure limit which is the maximum average concentration of a hazardous gas/substance in air for a normal 8-hour working day and 40-hour week. It is the maximum amount one may be exposed to without experiencing significant adverse health effects over said period. The ceiling value (C) is the concentration that should not be exceeded at any time. A threshold limit value (TLV), set by the American Conference of Governmental Industrial Hygienists, is the limit of exposure to a chemical substance that a worker can be exposed to, day after day, without adverse health effects. TLVs are estimates based on the known toxicity of a chemical substance in humans or animals given the currently available analytical and technological resources. To determine TLVs, ACGIH uses committees to review various published literature in disciplines such as industrial hygiene, toxicology and occupational medicine. TLVs are then developed as recommendations or guidelines and are intended to be interpreted and used by a person trained in the discipline of industrial hygiene. TLVs are not legal limits but are based solely on health factors. A range of different types of gas monitoring systems are used at underground coal mines. Different techniques of gas testing are being used, such as: telemetry fixed sensor systems that involve obtaining real time data from the sensors that are located in situ underground; stain tube analysing method that involves obtaining underground air through tube bundle systems and sending them to surface analysers; and the portable gas detection devices that are widely used nowadays. In earlier days, around 35 years when gas portable gas detection devices were not invented, gas testing underground was being conducted through gas chromatographic systems. 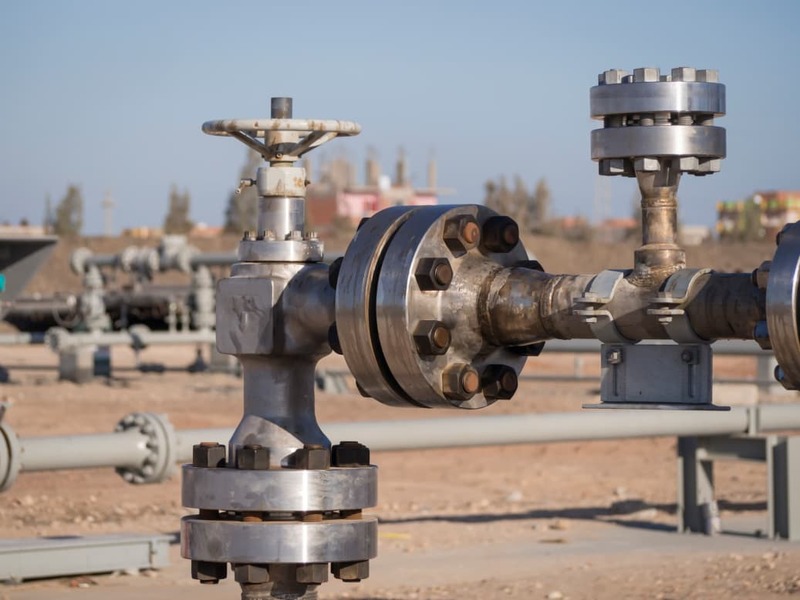 This method was effective in identifying the presence of gas concentrations, but due to their slow analysis and lacking the desired sensitivity for the critical gases, this method not widely considered as ideal for an onsite gas monitoring system. The improved form of this method, known as ultra fast micro gas chromatographs, is now on the market and has resulted in a wider acceptance and use of gas chromatographic systems at mine sites. They are now commonly used at mines in a number of mining regions. The ability of these systems to determine key gases such as hydrogen, carbon monoxide, ethylene, acetylene and ethane at parts per million levels is a significant advantage over other techniques. Multi gas detectors or toxic gas monitors are designed to alert workers before the gas level reaches a harmful concentration. 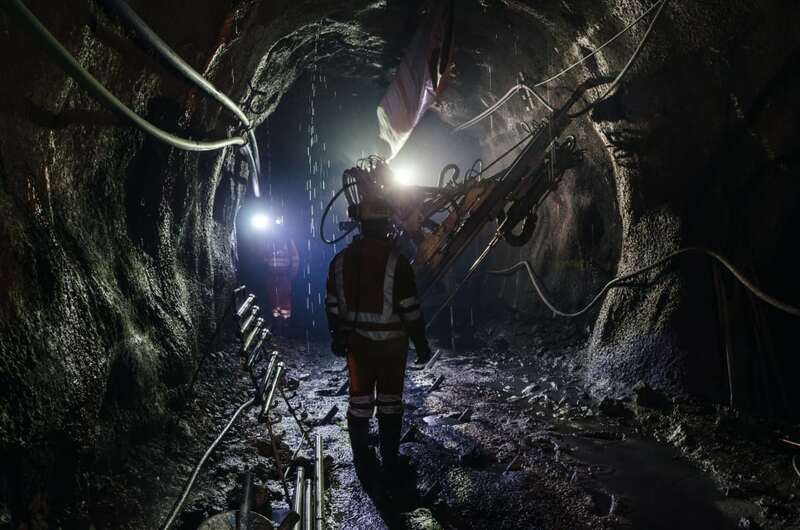 They are widely used in confined space activities and mining operations for personal monitoring and routine inspection of potentially hazardous environments. They provide unrivalled protection by alarming the user when gas levels reach the set limits. They can monitor and identify up to four gases simultaneously, detecting all possible combinations of methane, oxygen, carbon monoxide and hydrogen sulphide, as well as other flammable gases. They come with audible and visual alarms and an optional internal pump for pre-entry checking of the dangerous environment. As industrialisation increases and globalisation spread its wings, commercial and industrial sectors are facing more rules and regulations than ever before. There are numerous governing bodies regulating the way jobs are performed when it comes to safety in the workplace, ensuring that best practices are enforced thus promoting the completion of jobs and tasks in the safest way possible. One of the areas these governing bodies, such as OSHA, have specific regulations for its gas detection. Gas detectors are required by industry best practices and regulations and are the only way that workplaces can identify gas leaks and potential threats within the workplace. They are extremely important and are a critical piece of safety equipment that can be used to detect explosive atmospheres, oxygen deficiency, and toxic gases that may have leaked into the air. Without gas detectors being used to detect threats, workers are exposed to potentially damaging gases that can cause harm to their minds and bodies, or even result in death. One question that is frequently asked, is why should an alarm be set before the WELs or PELs? It is important to note that whereas portable gas detection instruments measure and alarm at the TWA levels, instantaneous alarms set at the same numerical values of the eight hour TWA are included to provide early warning of an exposure to dangerous gas concentrations. Workers often face risks of gas exposure in situations in which atmospheres cannot be controlled, such as in confined space entry applications where alarming at TWA values would be inappropriate. You must, however, perform your own risk assessment to ensure alarms are set to appropriate levels for your application. As a general gas testing precaution, confined spaces where hazardous gases are present are not the place to “learn as you go”. In our normal lives we learn from our mistakes and get the things set right to avoid recurrences of similar unsafe events. Unfortunately, when mistakes are made in confined space monitoring, the cost of this education is often measured in the number of lives lost. Below are some of the precautions to be taken during gas testing. OSHA standards and other national standards provide a blueprint for procedures and practices that are at the heart of any safety programme. In fact, many – if not all – mistakes in confined space monitoring could be decreased or eliminated altogether if work supervisors, safety officers and workers simply followed these standards and recommendations. It is well known that a number of hazardous gases are both colourless and odourless, but many people think they can easily recognise the presence of hydrogen sulphide with its rotten egg smell, which is one of the more common confined space toxic gases. The problem with this deadly gas is that its distinctive odour is only perceptible at very low concentrations. At higher levels, hydrogen sulphide has a paralysing effect on your sense of smell. Even at low concentrations, prolonged exposure can dull the sensory nerves and make it impossible to accurately detect, even if concentrations then suddenly increase. The only way to safely detect a hazardous atmosphere is with a calibrated direct reading instrument. Never overlook confined space monitoring training for your employees if they are involved in such activities. Many 20 ARTICLE | Explosive Atmospheres confined space accident investigations highlight a lack of awareness in the workers about the space’s hazards and its controls. One of the more important benefits of training involves an increased awareness of the potential dangers of confined space work. A gas monitor is not the only component of an effective gas detection programme; however, when employees are trained on the operation of the instrument and the procedures for confined space monitoring, the risks involved with this type of work can be greatly diminished. Familiarity, complacency and a false sense of security can all lead to abandoning best practices, especially when the time spent working in the space is expected to be minimal. But trained workers know that accidents can happen to anybody and that no matter how much time is spent working in the space, the potential danger remains the same. Regular checking of your gas monitor through a reliable maintenance programme will ensure that it accurately measures the presence of atmospheric hazards and immediately warns the user about any hazardous conditions. Workers must also be trained in the use of their specific model of gas monitor to avoid the common mistake of zeroing the instrument in an environment that contains any significant concentration of a hazardous substance. Using a hazardous atmosphere to establish the monitor's clean-air reference point can lead to inaccurate or negative readings that may increase safety risks. Many gas monitor users are confused about how often to bump-test and calibrate their gas monitors. This confusion typically results in ignoring best practices or avoiding the responsibility altogether. A designated competent attendant plays an important role in ensuring the safety progress of the confined space work, mainly by maintaining contact with the entrant while they are in the confined space. The attendant must be fully dedicated to this work only and not be involved with any tasks unrelated to the safety of the confined space worker. An attendant must not, under any circumstances, enter the confined space. In some instances, the attendant may be responsible for recording additional atmospheric readings to monitor the safety of the confined space. Prior to taking up the responsibility as attendant he or she must receive thorough training in identifying the hazards associated with the confined space, including gas hazards and associated control measures such as how to implement the rescue plan. They must also be familiar with the physical symptoms of gas exposure in case of an emergency. It is the right of the worker to be protected by his employer from the hazards arising from his work. Employers have a legal duty to protect the employees from unsafe conditions and hazards by providing them with the right training, rescue equipment and back up support. Not knowing what to do in an emergency puts both the worker and the attendant at greater risk. Also, last moment rescue decisions without a thoughtful plan may put the life of the rescuer at danger, which is evident from the OSHA statistics of confined space-related deaths. Explosive atmospheres can be navigated safely with the proper training and precautions in place. It’s time we brought a little more respect into the equation. Everyone involved needs to treat explosive atmospheres with the respect they deserve: from employers showing workers some respect by not sending them into hazardous atmospheres ill-prepared; to employees having enough self-respect – and selfpreservation – not to risk their lives in unnecessarily dangerous situations.